Cross and Cutlass: Time to Fall in Love Party - Day 3! Time to Fall in Love Party - Day 3! 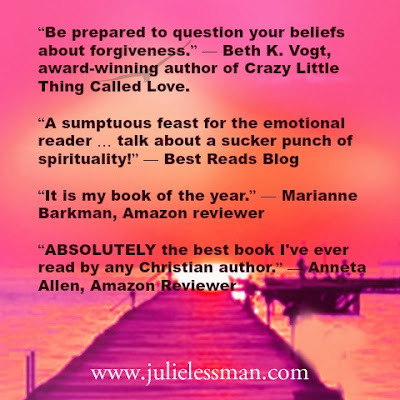 Welcome to Day THREE of our “IT’S TIME TO FALL IN LOVE” treasure hunt where Julie Lessman, Debbie Lynne Costello and I are celebrating the release of our latest books with some fabulous prizes, including a Kindle Fire, Amazon gift cards, gift baskets, and books galore! Ready for today’s treasure hunt? Good! Just read the blog below and answer the question in the Rafflecopter box at the end of this post. New to the hunt? No worries! 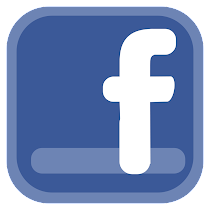 Details on what you can win and how can be found HERE. Today, you get a quick glimpse into Julie Lessman's brand-new release, Isle of Hope, and I DARE you not to be intrigued!! I had the privilege of reading this book already and let me tell you, you are in for a treat! Julie is not only a good friend but one of my favorite go-to authors when I need a heart-warming, romantic read with characters you never forget. Here's a tease about the story line. I guarantee it will grab you! 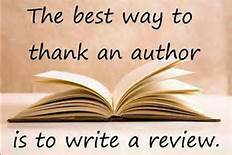 If that didn't grab you, check out these reviews! Please Welcome Julie Lessman to Cross and Cutlass! 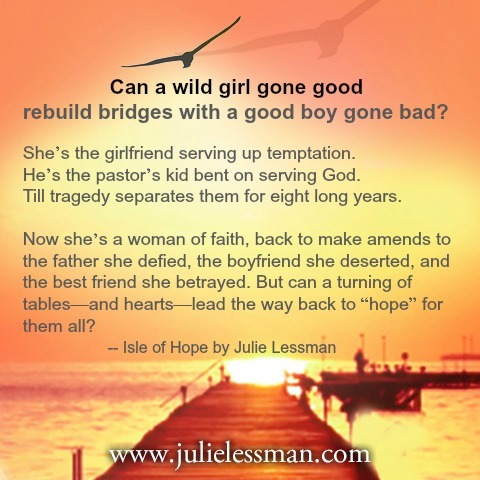 Hi, Everyone—Julie Lessman here, and one of the things that I think makes my books unique is that I always include a secondary love story with real romance between an older subordinate hero and heroine. Now why do I do this? Well, because as a baby boomer who thinks romance does NOT end at the age of 30, I get tired of romance being relegated to the young. I mean, why should the youngsters have all the fun? 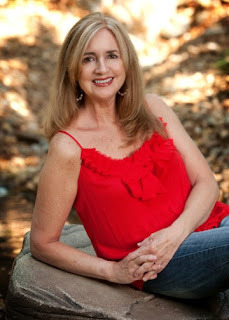 I can tell you right now that once empty nest hit, my husband and I felt like teenagers on the loose again—more active with things like biking, working out, traveling and definitely more romantic than ever before in almost 38 years of marriage. So I thought it might be fun to give you a sneak peek at a scene from the secondary “40-ish” love story in Isle of Hope between the hero’s spunky mother, Tess O’Bryen, and the heroine’s father, a gorgeous but grumpy heart surgeon who lives next door, affectionately known in the neighborhood as Dr. Doom. He stared back for several seconds, face immobile except for the faintest flicker of a muscle in his jaw. “And how do you propose I do that, Tess?” he whispered, gaze guarded. “With God,” he repeated dully, his tone acidic enough to convey his disdain. He gripped her wrist mid-air like a spring-loaded trap, snatching all oxygen from her lungs. “There’s that word again,” he said softly, his gaze burning as much as his hold. “I wouldn’t be tossing it around too casually, Mrs. O’Bryen, or putting your hands on me unless you mean business.” He skimmed the inside of her wrist before gliding up to twine his fingers with hers. “Your hand is sticky,” he whispered, eyes lingering on her lips while his thumb slowly circled her palm. “I gotta go!” She shot up faster than one of Davey’s bottle rockets, so flustered, she darted into the kitchen instead of out the front door, bolting to the sink to scour her hands. Fingers trembling, she snatched a dishtowel from a stainless steel rack, head bowed and eyes closed to compose herself while she dried off, berating herself for agreeing to come over. “Talk about a lamb in the lion’s lair,” she muttered, spinning around with a squeal as something tickled her neck. Her body flashed hot when she realized it was Ben’s lips. Her heart battered her ribs. “Yeah? Well, I’m no—” The gentle brush of his mouth against hers stalled the words in her throat, robbing her of both reason and resistance when his kiss intensified. Liquid fire coursed through her body at the rush of feelings she hadn’t felt in such a very long time. She wanted to push him away, but her insides melted into submission, rendering all resolve as limp as her legs. “So help me, I want you, Tess,” he said, his voice hoarse as he cupped her face in his hands. Hungry lips lured her eyelids closed when they locked a moan deep in her throat. Her breathing was as ragged as his when he moved in close, melding his body to hers. Thanks so much, Julie. Loved every minute of that!! Being older myself, it's so nice to see love blossom in people our age! After all, just because our bodies are old, doesn't mean our souls or spirits are! BUT … before you go, make sure you WRITE DOWN THIS CLUE — bless — which is the #9 CLUE in our 15-word sentence you’ll need to enter the Kindle giveaway on February 29th - March 3rd. 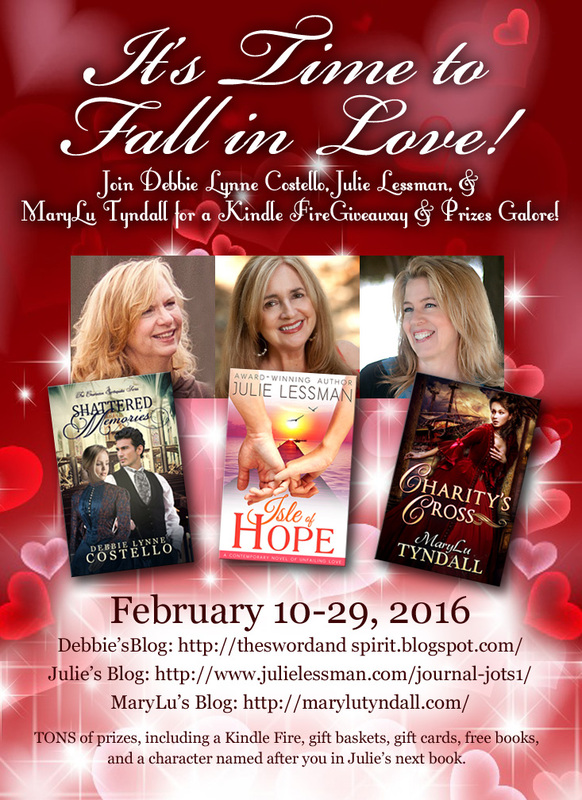 DON’T FORGET TO HEAD ON OVER TO DEBBIE LYNNE’S AND JULIE'S BLOGS FOR MORE CLUES AND PRIZES. HAPPY TREASURE HUNTING AND GOOD LUCK! Tess mentally berates herself for going to Ben’s house, comparing herself to what? To see the list of prizes I'm giving away, click HERE to go back to the first post. If you are new to Rafflecopter, it will ask you to do certain things in order to gain points toward winning the prize. When Rafflecopter chooses a winner, the more points you have, the better chance you have at winning. All of the tasks are optional, but to better your chances, I encourage you to do them. None of them take much time. This is where you will enter the final 15 Word sentence you collect on all our blogs for the next 2 weeks to enter to win the Kindle Fire! You can't enter yet, but be sure and collect your secret word for today! This book sounds really good. Have a great weekend! Hey, Debbie, thanks SO much, sweetie, not only for your sweet comment, but for ALL the incredible support you give my best bud, MaryLu, and this promo!! WOW! The sparks were flying in this scene! 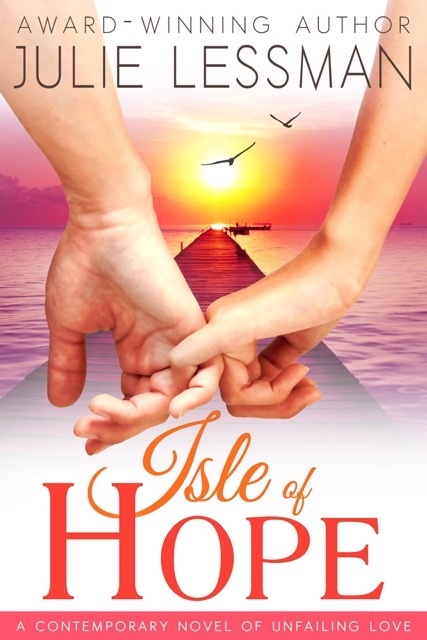 Thank you for featuring Julie and "Isle of Hope", MaryLu!! Love this book so much the title makes my heart beat a little faster - appropriate for the It's Time to Fall in Love party, don't you think, lol?? I truly do think it is Julie's best work - such an important message that is changing reader's hearts/lives and drawing them nearer God. So glad God directed her to write this contemporary book of her heart!! Thanks for being a part of this wonderful party - love, hugs, & prayers, MaryLu!! Bonnie, girl, you sure get around, my friend!! Thanks for all of your incredible support. Thank you Marylu and Julie for this fun day 3 post of your Let's Fall in Love party! Thank you ,too for devoting this post to this excerpt from IOH featuring Ben and Tess.I really loved the relationship that developed between these two characters,and this was one of my favorite scenes in the book. I hope we see them in the next book of the IOH series! Thank you,Julie for proving that love doesn't just belong to the younger characters. :) God bless you both and have a happy weekend!! Thanks for coming by, my sweet friend! I love that you feature older people in romantic scenes. There is no age limit to falling in love.